UCEM’s centenary plans have been given a huge boost after receiving a grant from the National Lottery. A grant of £10,000 has been awarded by the Heritage Lottery Fund to UCEM in support of UCEM’s centenary events and activities next year. UCEM’s application included co-producing exhibitions with Reading Museum and the Museum of English Rural Life (MERL), a schools’ outreach programme and the publication of booklets in support of the project – all of which will now be brought to life following the grant award. 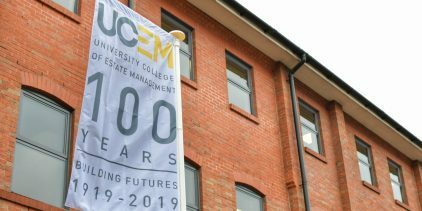 The project, entitled ‘Celebrating 100 years of University College of Estate Management: Building Futures 1919-2019’, will commemorate the institution’s heritage and explore its social and historical impact across the century. UCEM will celebrate 100 years of educating Built Environment professionals with the local community via its museums, schools and its own centenary website. The grant also gives UCEM the means to examine the history behind the images and artefacts that will be brought into public view for the first time. The local community will be invited to learn about the education of a profession during wartime, including the introduction of correspondence courses for British Prisoners of War in Europe and three agricultural courses for members of the Women’s Land Army through the funded centenary activities, as well as UCEM’s place in Reading’s history. Jane Fawkes, UCEM’s Deputy Principal, commented: “We are absolutely delighted to have had our application accepted by the Heritage Lottery Fund. 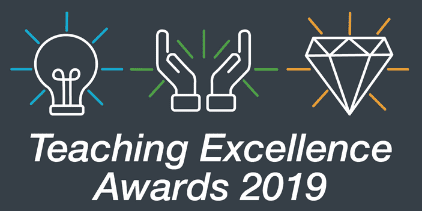 This will enable us to kickstart an exciting programme of outreach activities in Reading to complement the wider centenary celebrations we have planned for 2019. 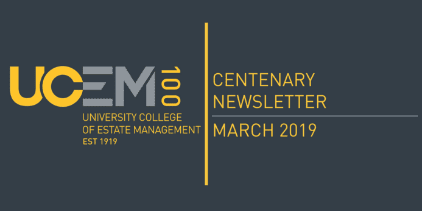 To keep up-to-date with UCEM’s plans for its centenary year, keep your eye on our website for further announcements.